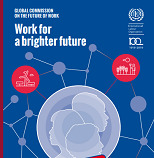 •	International Labour Organisation (ILO) is an UN agency that sets international labour standards. •	a human-in-command approach to artificial intelligence. •	190 million people are unemployed around the world. •	Around the world, 300 million workers live in extreme poverty. •	Wage gaps are growing at a time of declining wage growth. •	Two-thirds of jobs in the developing world are susceptible to automation. •	Only 15% of households in emerging countries have Internet access. •	Implementing the Paris Climate Agenda could create 24 million new jobs. But around 6 million workers are expected to lose their jobs in the transition to a greener economy. •	Prime Minister Dr Mahathir Mohamad has given his reaction to the decision of the International Paralympic Committee`s (IPC) decision to strip Malaysia of the right to host the 2019 World Para Swimming Championships. 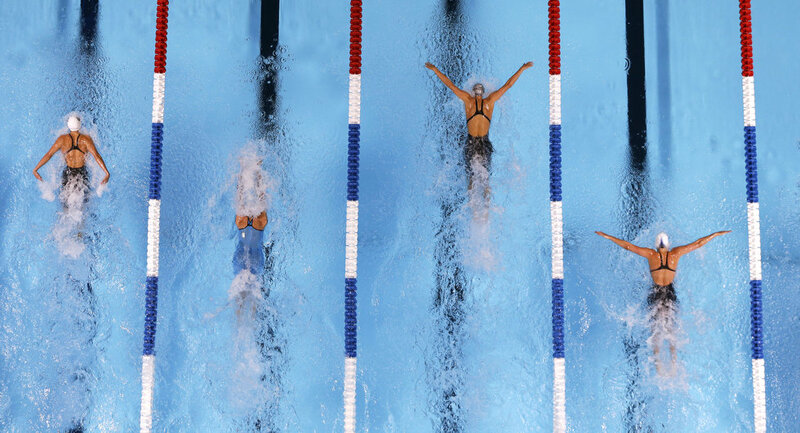 •	IPC made the decision at its Governing Board meeting in London after the Malaysian Home Ministry failed to provide the necessary guarantees that Israeli para swimmers could participate in the championships safely and free from discriminations. •	Three former Tata Group executives in partnership with Quantum Advisors will launch a $1 billion Environment, Social and Governance (ESG) Fund. •	The Fund will invest in Indian companies that value the environment, society and corporate governance to the core. •	The proposed equal joint venture(JV) would mobilise funds from long-term foreign investors such as pension funds, sovereign wealth funds and family offices of high networth individuals (HNIs) who value ESG. 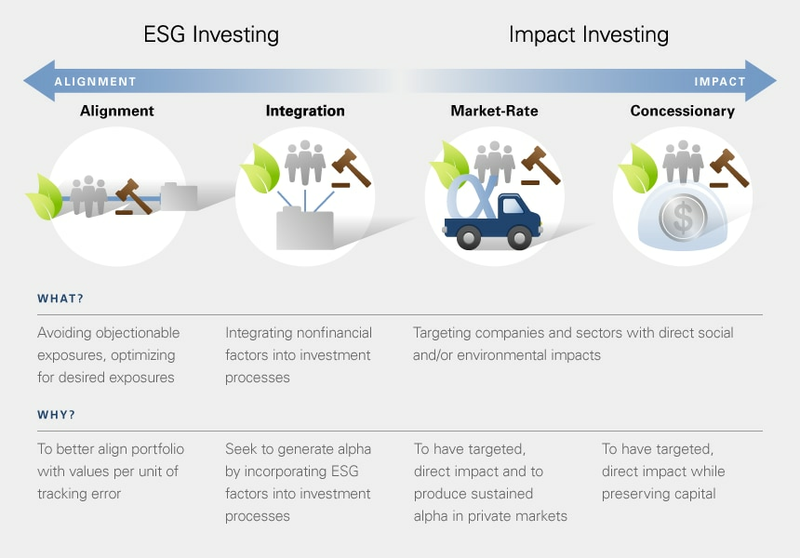 •	The fund will aim to drive higher ESG performance in Indian corporates and it will adopt an engaged, private equity approach to public markets investing, with a focus on working with companies willing to recognize the long-term advantages of actively adopting ESG standards of excellence. •	There is pressing need for such a fund in India as there are concerns on standards of corporate governance in the country and Indian companies will need to play a central role to help achieve global climate change targets. •	The US has announced a new H-1B visa filing rule from April under which priority would be given to foreign workers with advanced degrees from American universities. •	The final rule reverses the order by which the US Citizenship and Immigration Services ,USCIS selects H-1B petitions under the regular cap and the advanced degree exemption. •	The new rule will go into effect on April 1. •	USCIS Director Francis Cissna said US employers seeking to employ foreign workers with a US master`s or higher degree will have a greater chance of selection in the H-1B lottery in years of excess demand for new H-1B visas. •	The change will result in an estimated increase of up to 16 per cent (or 5,340 workers) in the number of selected petitions for H-1B beneficiaries with a master`s degree or higher from a US institution of higher education. •	The H-1B visa, popular among Indian IT professionals, is a non-immigrant visa that allows US companies to employ foreign workers in specialty occupations that require theoretical or technical expertise. The number of H-1B visas granted annually is capped at 65,000, and another 20,000 are reserved for people who hold advanced degrees from US higher education institutions. •	. The Chinese delegation is headed by Chinese Vice Premier Lie, while the American side is led by US Trade Representative Robert Lighthizer. •	The talks began last evening following a brief session open to the media. The White House said, US welcomes the Chinese delegation and US President Donald Trump will meet them at the end of the two-days talks. •	US and China have just a month remaining in a 90-day truce declared in December. Should the talks fail, US import duties on 200 billion dollars in Chinese imports are due to more than double on 2nd March. •	India and China have signed the protocol for exports of Indian tobacco leaves to China. •	Quality tobacco on par with international standards is available in India at competitive prices and there is a good potential for export of Indian tobacco to China. 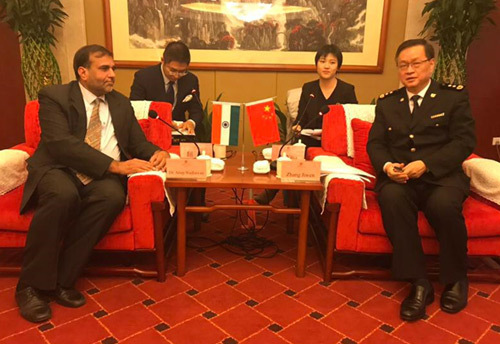 •	The protocol with China will pave the way for revival of Indian tobacco exports to China and prove economically beneficial to Indian farmers. •	That means Indian companies get easier access to a new market, and can now export to China without double taxation, and vice-versa. •	There are two reasons why Chinese companies, who so far majorly depended on US and Brazil for quality tobacco leaves for cigarettes, will trade with Indian exporters. First, India produces global standard Flue-Cured Virginia (FCV) tobacco which is used in cigarettes. Second, China has just increased import duty by 25 percentage points (from 10 percent to 35 percent) on tobacco leaves procured from the US. On the other hand, the tariff is at 10 percent for imports from India. •	Despite China being the largest producer of tobacco, it imports a huge quantity of these leaves from the US and Brazil. That’s because China also produces around 42 percent of all cigarettes manufactured globally. •	India ranked sixth leading nation globally in the GDPR readiness index, according to latest ranking released by global networking leader Cisco. •	Nearly 65 per cent of Indian organisations are better prepared for the European Union`s General Data Protection Regulation (GDPR). •	The GDPR focused on increasing protection for EU residents` privacy and personal data, came into force in May 2018. •	65% of Indian organizations better prepared for GDPR, making India the sixth leading nation in readiness index. •	Cisco, announced its 2019 Data Privacy Benchmark Study which placed India amongst the leading nations globally in their preparedness towards the General Data Protection Regulation (GDPR). •	According to the report, organizations worldwide that invested in maturing their data privacy practices are now realizing tangible business benefits from these investments. •	The study validates the link between good privacy practice and business benefits as respondents report shorter sales delays as well as fewer and less costly data breaches. •	The European Union’s General Data Protection Regulation, which focused on increasing protection for EU residents’ privacy and personal data, became enforceable in May 2018. Organizations worldwide have been working steadily towards getting ready for GDPR. •	Within Cisco’s 2019 Data Privacy Benchmark Study, 59 percent of organizations reported meeting all or most requirements, 29 percent expect to do so within a year, and 9 percent will take more than a year. Interestingly, Indian stood sixth globally with 65% of Indian organizations showing higher preparedness towards meeting most or all of the GDPR requirements. •	India asked Pakistan not to interfere in India’s internal affairs. Reacting to the telephonic conversation between Pakistan Foreign Minister Shah Mehmood Qureshi and Separatist Mirwaiz Umar Farooq, External Affairs Ministry spokesperson Raveesh Kumar said, the behaviour of Pakistani Foreign Minister is condemnable. •	Mr Kumar said, it is high time for Pakistan to take action against terrorism, but unfortunately, the neighbouring country is doing nothing. •	Asked about recent developments in Afghanistan regarding the reconciliation process, the spokesperson said, India is following the developments closely. •	He said India wants peace and stability in that country. He said peace and reconciliation process in that country should be Afghan-controlled, Afghan-led and Afghan-owned. •	The United States called for more transparency as it accused Russia and China of not fully reporting their nuclear programmes amid US threats to withdraw from a key arms control treaty. •	US undersecretary for arms control and international security, Andrea Thompson said there were "uneven results" in efforts to advance transparency under the nuclear non-proliferation treaty. •	Thompson`s remark came at the meeting of five permanent members of the UN Security Council in Beijing for talks on nuclear disarmament and non-proliferation. •	Officials from Russia, China, France and Britain countries under the Non-Proliferation of Nuclear Weapons (NPT) treaty also attended the meeting, which will continue till Jan 31. •	The talks come after months of raging tensions between Moscow and Washington over the fate of the Intermediate-Range Nuclear Forces Treaty (INF) signed in 1987 by then US president Ronald Reagan and Soviet leader Mikhail Gorbachev. •	US President Donald Trump has promised to walk away from the agreement while President Vladimir Putin has threatened a new arms race, saying Europe would be its main victim. •	The central banks of the UAE and Saudi Arabia have launched a common digital currency called "Aber", which will be used in financial settlements between the two countries through Blockchains and Distributed Ledgers technologies. 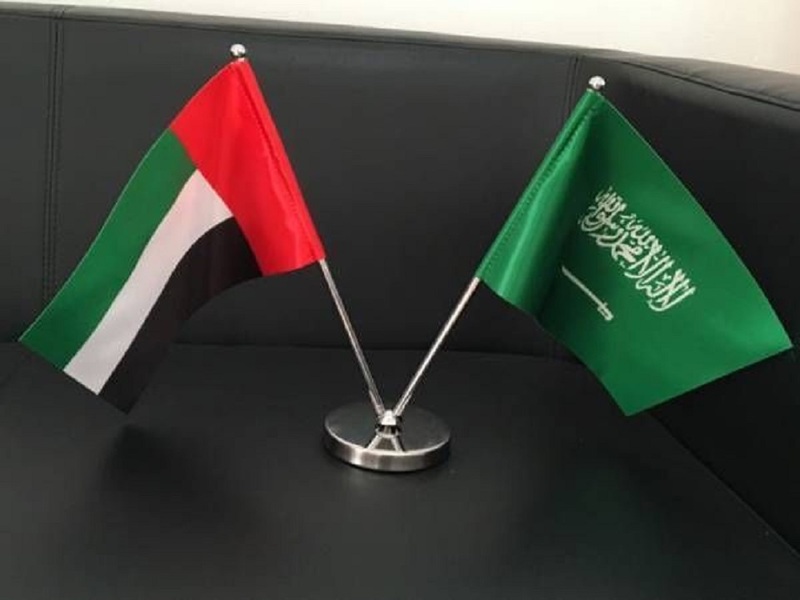 •	The UAE central bank said in a statement that it will establish an additional means for the central financial transfer systems of the two countries and enable banks to directly deal with each other in conducting financial remittances. •	Through this digital currency, both the United Arab Emirates Central Bank (UAECB) and the Saudi Arabian Monetary Authority (SAMA) are studying the impact on the improvement and reduction of remittance costs and the assessments of risks. 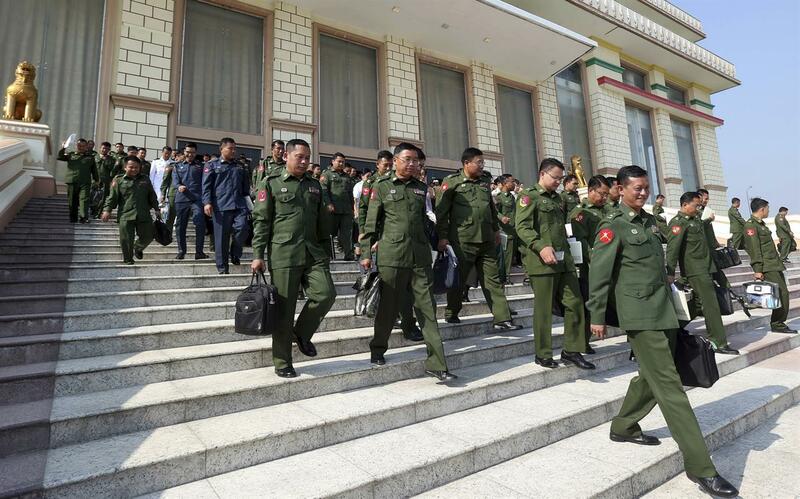 •	Myanmar`s parliament has voted to create a committee to propose amendments to the country`s military-enacted constitution, which grants the armed forces the power to block any change. •	The proposal to form the committee was presented by a member of the ruling National League for Democracy party of leader Aung San Suu Kyi, which took power in 2016 after more than five decades of military or military-backed rule. •	The 2008 constitution gives the military control of national security ministries and 25 per cent of legislative seats, enough to prevent any constitutional changes, which require the support of more than 75 per cent of lawmakers. •	The committee proposal required a simple majority to pass. Military lawmakers boycotted the vote, saying it violated parliamentary procedures for changing the constitution. •	British lawmakers have approved a year-long trial of proxy voting for MPs on parental leave. •	MPs have been discussing the idea for several months but matters came to a head when one of their numbers postponed a Caesarian section in order to vote in Britain`s long-running Brexit saga. •	The motion was passed . It will allow new parents to nominate a colleague to vote on their behalf. •	Currently, MPs walk through two lobbies to cast their vote, effectively being counted in person. •	If members cannot get to parliament to vote, they can pair up with an MP from the opposing side who likewise does not vote, so the overall outcome is unaffected. •	As a last resort, a system is known as "nodding through" allows an MP`s vote to be counted if they are on the parliamentary estate but cannot physically walk through the lobbies. •	In the past, this has seen MPs vote by being driven through the estate in an ambulance. •	Opposition Labour MP Tulip Siddiq postponed the birth of her son Raphael by Caesarean section so she could be wheeled into the chamber to vote on Brexit earlier this month. •	The vote marks a baby step in the right direction in bringing parliament into the 21st century. •	The new proxy vote trial will also apply to MPs who have suffered a miscarriage. •	In USA, the Trump administration imposed sanctions on Venezuela`s state-owned oil company, PDVSA to put pressure on President Nicolas Maduro to cede power to the opposition. •	The sanctions will freeze any assets the firm may have in US. Maduro, in his television address said that his government will take legal action against the USA in international court against the sanctions. •	The sanctions will not affect consumer prices at the gas pump in USA but will hit oil refiners, particularly those on the US Gulf Coast. •	The sanctions come just days after the US and several European countries refused to recognise Maduro as Venezuela`s legitimate president and instead recognised opposition leader Juan Guaido as the interim president. •	The United Nations is dispatching a human rights expert to Turkey to inquire about the killing of Saudi journalist Jamal Khashoggi. •	Agnes Callamard, the UN expert on extrajudicial, summary or arbitrary killings, will head an independent international inquiry. •	Callamard will evaluate the circumstances surrounding Khashoggi`s murder from a human rights perspective. •	Khashoggi, who wrote critically about the Saudi Crown Prince, was killed inside the Saudi Consulate in Istanbul in October last year. •	Turkish officials have repeatedly called for an international investigation and have complained of a lack of cooperation by Riyadh. •	Meanwhile, Saudi Arabia has indicted 11 people, including some from the Prince`s entourage, over the killing and is seeking the death penalty against five of them. 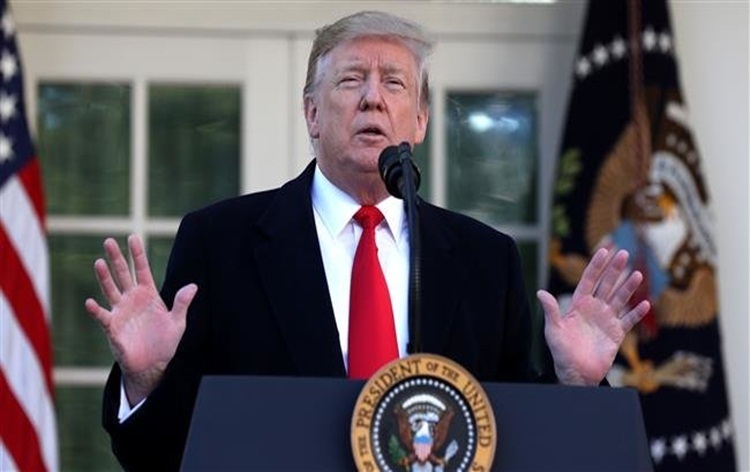 •	US President Donald Trump has announced a deal with the Democrats to temporarily open the government for three weeks till mid-February. •	The move will end the longest-ever partial shutdown and enable over 800,000 federal workers to resume their job. •	The president, however, said if the government don`t get a fair deal from Congress, the government will either shut down on February 15 again or he will use the powers afforded with him under the laws and the Constitution of the US to address this emergency. •	Both the House and the Senate are expected to pass the resolution shortly for Trump to sign into law. •	Trump also assured the federal workers that they would be receiving their paychecks as soon as possible. •	Aadhaar cards are now valid travel documents for Indians under 15 and over 65 travelling to Nepal and Bhutan, according to a Home Ministry communique. •	Indian citizens going to Nepal and Bhutan don’t need a visa if they have a valid passport, a photo identity card issued by the government of India or an election ID card issued by the Election Commission. •	Earlier, persons over 65 and under 15 could show their PAN card, driving licence, Central Government Health Service (CGHS) card or ration card, but not the Aadhaar, to prove their identity and visit the two countries.